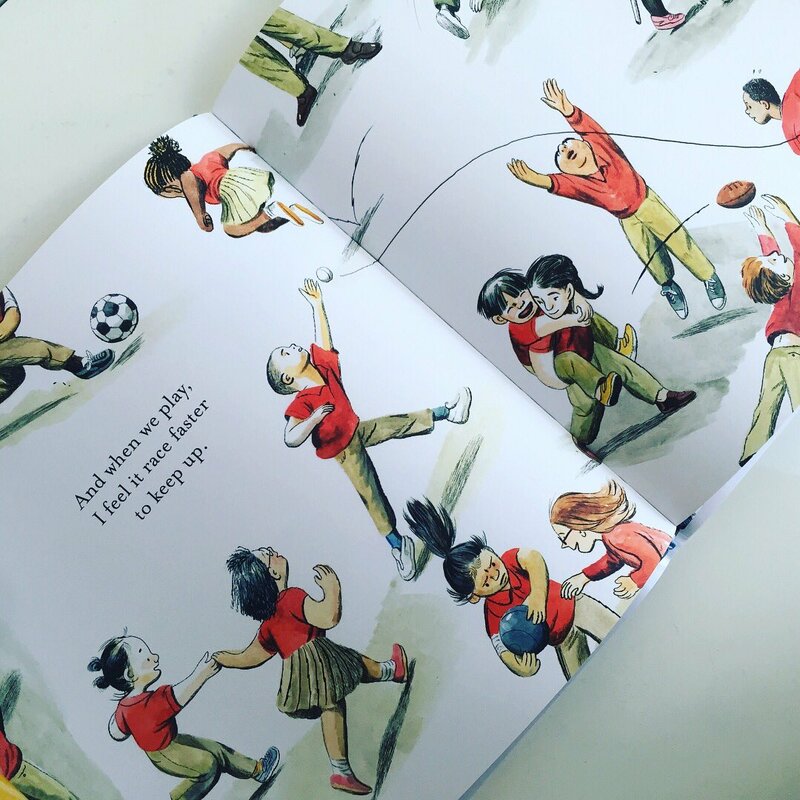 We truly applaud Jillian Tamaki’s first picture book. ‘They Say Blue‘ is a wonderfully playful tale about colour, perspective, the world around us and letting our imagination run wild. Told through the eyes of an inquisitive young girl, we are taken on a journey of the senses, supported by lusciously vivid illustrations. Tamaki‘s exuberantly bouncy narrative addresses what we know to be true, versus those things we may have only been told and have never yet experienced. This jaunty tale makes us observe those things we may take for granted in a different light. It helps us take note of the things around us in the natural world in more detail and with greater empathy and understanding. Tamaki has a knack of injecting fluid movement into her artwork and her use of textured brushstrokes make for an utterly eye-catching read. 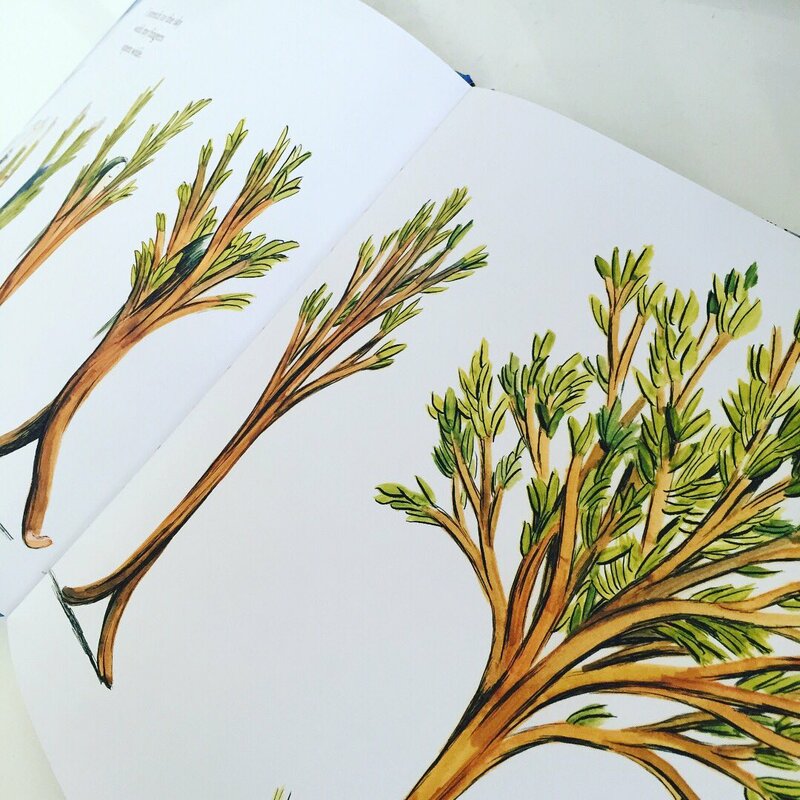 Spreads bursting with energy, movement and inky colour will delight emerging readers and adults alike. With a gentle nod to the seasons and the natural world, it’s an enlightening sensory experience, with an abundance of texture and thought-provoking dialogue. 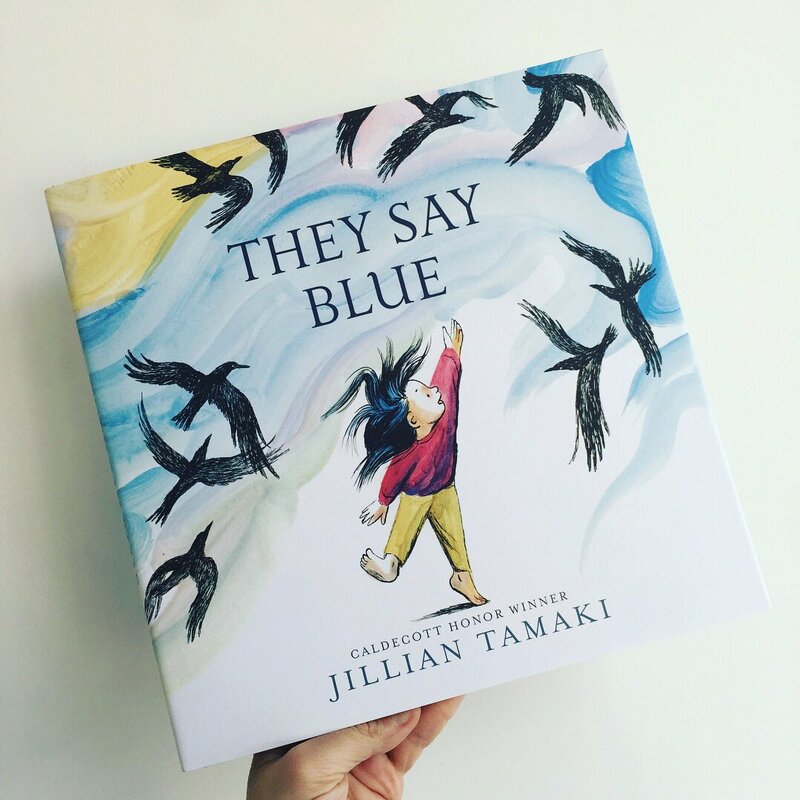 ‘They Say Blue‘ is a captivating and meditative debut picture book and one which will inform and enlighten. We hope it will inspire a younger audience to look more closely and question further.